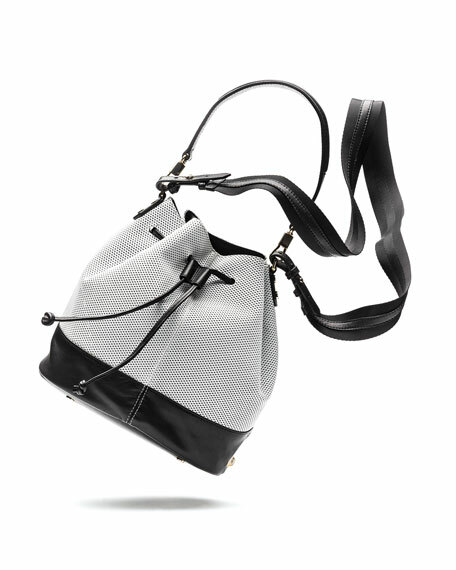 Elizabeth and James bucket bag with golden hardware. 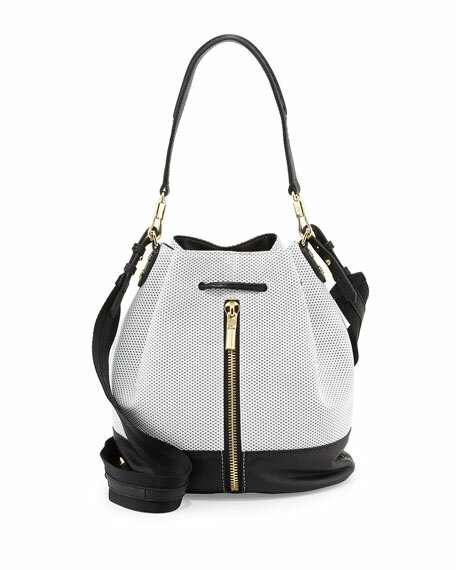 Perforated leather with contrast smooth leather accents. Removable padded top handle; 7.5" drop. 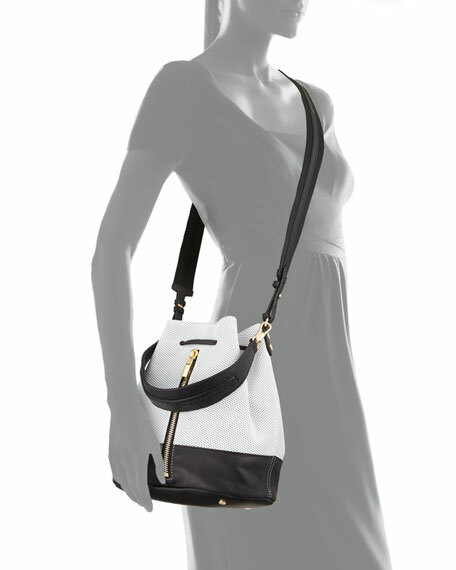 Removable, adjustable web crossbody strap; 20" drop. Exterior back zip pocket for on-the-go access. Fabric lining; one zip and two open pockets. 11"H x 10"W x 6.5"D.